Q: Which Bugaloo is this? A: We don't really know. 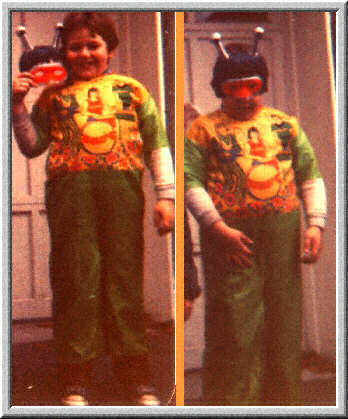 The green costume would suggest I.Q., but the hair is dark, so it could be Courage or Harmony. Since all three male Bugaloos are pictured on the costume, we'll assume it was meant to be a "generic" male Bugaloos Halloween Costume. Special thanks to Paul Camuso for providing this image!